To equip the church with Christ-centered resources, spurring members on to good works and growth in biblical understanding, love, hope, devotion to God and His Word, and in all relationships. Let us hold fast the confession of our hope without wavering, for He who promised is faithful; and let us consider how to stimulate one another to love and good deeds, not forsaking our own assembling together, as is the habit of some, but encouraging one another, and all the more as you see the day drawing near. Will WSCC provide these resources? Yes. Resources will be available in the lobby after service on a first come, first serve basis (until supplies last). For your convenience click the logo above to get to a site where this months G.R.A.B. can be purchased. Will GRABs cost anything for members? No. However, charitable donations are encouraged. To continue serving you and providing monthly GRABs all proceeds will go toward the purchase of future resources. 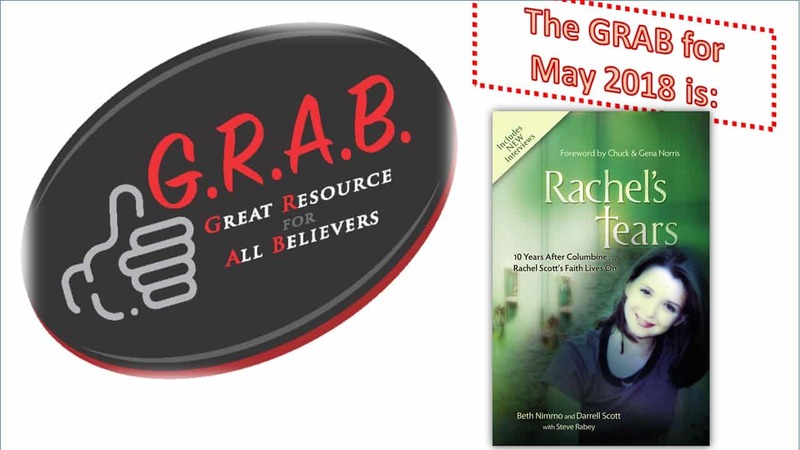 How can I recommend a book that I believe is a G.R.A.B.? Download and complete the G.R.A.B. Recommendation Form. Once you have completed the form, submit the form into the Dirisamer’s mailbox. Should you have any additional questions, feel free to contact Pete Dirisamer at [email protected], or Barb Granrath at [email protected].